On United Nations Day, 24 October 2018, Europa Nostra – The Voice of Cultural Heritage in Europe organised a major public discussion on the Endangered Cultural Heritage in the Buffer Zone of the Walled Town of Nicosia. The Head of the UN Mission in Cyprus, Mrs Elizabeth Spehar, the Representatives of the two communities in Nicosia, Mr. Constantinos Yiorkadjis and Mr. Mehmet Harmanci, Europa Nostra’s Executive Vice-President Guy Clausse and Vice-President Androulla Vassiliou, as well as Greek Cypriot and Turkish Cypriot heritage experts and activists took actively part in this vital discussion. The discussion was part of a 2-day Conference dedicated to the 5th anniversary of the “7 Most Endangered” programme, established by Europa Nostra in 2013 in partnership with the European Investment Bank (EIB) Institute. 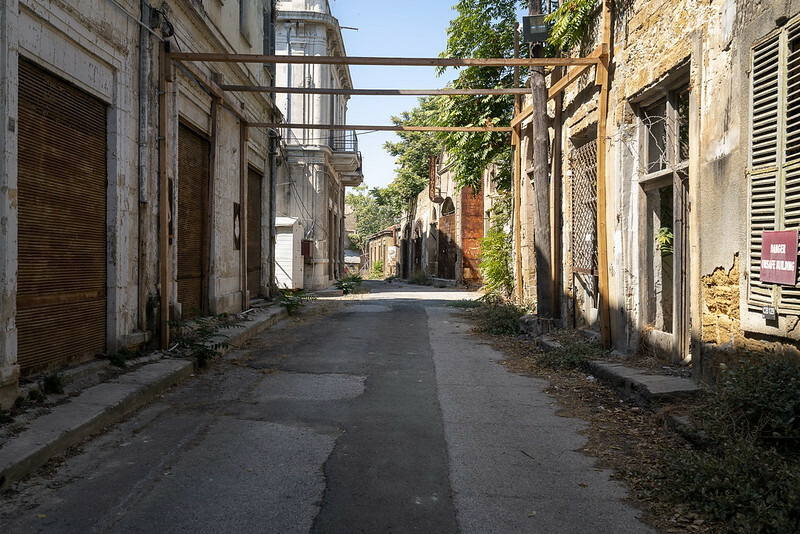 In 2013, Europa Nostra had identified the Buffer Zone of Nicosia as one the most endangered heritage sites in Europe, because of its symbolic and historical significance but also for its authenticity and the cultural, social and economic potential it represents. Today, in the ongoing European Year of Cultural Heritage, it was a welcome opportunity to reassess the condition of important historical buildings located in the Buffer Zone of the Walled Town of Nicosia which Zone continues to cut across the heart of Nicosia, forming a lifeless corridor disrupting the city’s cohesion and continuity. Yet, this area has the potential to become once again the unifying glue of the city. Following these discussions, Europa Nostra and the experts of the EIB Institute reiterate their praise for the outstanding work undertaken, in very difficult circumstances and on a bi-communal basis by various organisations, especially by the Nicosia Master Plan Team and by the Bi-communal Technical Committee for Cultural Heritage. It is impressive to see how competent and creative the members of these teams are and how dedicated they are to use the shared cultural heritage of Nicosia for confidence and bridge building efforts between different communities in the on-going revitalisation of the old town of Nicosia, which will receive a decisive boost once a lasting solution for the future of Cyprus is reached. Europa Nostra also feels encouraged and inspired by invaluable initiatives developed by civil society organisations (such as Home for Cooperation and the Centre for Visual Arts and Research), which demonstrate the strong will and huge potential for using the shared cultural heritage of Cyprus to develop creative bi-communal activities which involve also other communities living in Cyprus. At the same time, following new visits to the Buffer Zone organised on 22 and 23 October with the kind assistance of UNFICYP as the custodians of the Buffer Zone, Europa Nostra and the EIB Institute wish to express their grave concern about the alarming state of deterioration which continues and indeed accelerates in the Buffer Zone. The heritage buildings and sites located in the Buffer Zone of Nicosia are today even more in danger than it was the case 5 years ago! 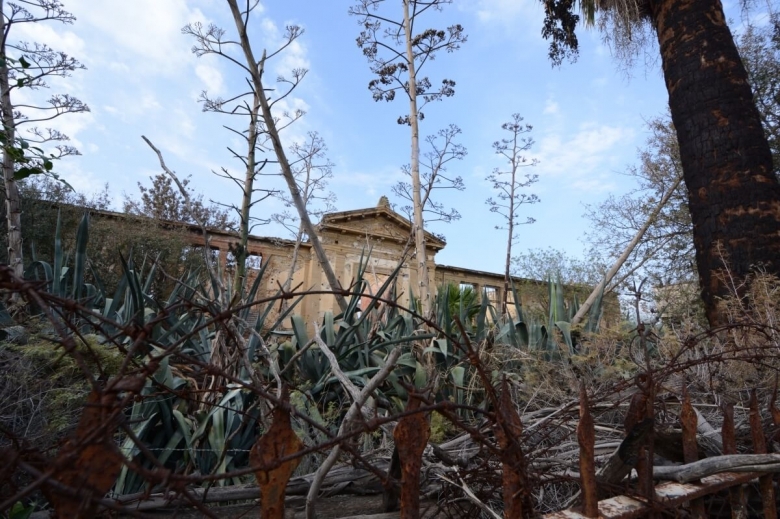 1) We appeal to you to take urgent stabilisation/conservation measures to prevent further decay or even collapse of invaluable historic buildings in the Buffer Zone of Nicosia. We are confident that nobody in Cyprus wishes to bear the responsibility for any further, potentially irreparable, decay of historical buildings located in the Buffer Zone. 2) While congratulating you on your recent agreement to open two additional crossings in the Buffer Zone of Cyprus, we appeal to you to give every attention and priority to opening new crossings within the Buffer Zone of Nicosia, as well. Ideally, Ermou Street should be opened as a horizontal crossing, since this would give a major boost to bi-communal cooperation and reconciliation. While acknowledging that such an initiative will require more time, we reiterate our recommendation (included in our report dated 2013) to open without further delay two additional pedestrian crossings: one at the Paphos Gate, important to provide access for different religious communities to places of worship located in this area of the walled city of Nicosia; and the other one in the very heart of the city, which will allow the two market places to become connected, thus facilitating contacts and cooperation among small traders and farmers from different communities living in Nicosia. Last but not least, we strongly support the plea for opening two civilian car crossings in the Buffer Zone of Nicosia – at the Ledra Palace and near the Famagusta Gate. We are sure you will agree with us that such decisions would carry huge symbolic value, convey a vital positive message to the benefit of all, with the view of boosting dialogue and exchanges between the two parts of Nicosia and their communities. 3) While acknowledging the encouraging progress made through the Technical Committee on Cultural Heritage combined with the welcome dialogue between the religious leaders of Cyprus and their faith communities which was facilitated by the Embassy of Sweden and the Office of Religious Tracks (RTCYPP), we appeal to you to give the political impetus to the urgently needed reinforcement of two churches located in the Buffer Zone of Nicosia, St. George’s Church and St. James’ Church (Agios Iakovos). The condition of these important historic monuments is particularly alarming and it is necessary to start the rescue works without any further delay to avoid any irreparable loss. 4) We appeal to you to involve and give every support to civil society organisations active in Cyprus and to encourage them to further develop cultural and educational activities with the participation of different communities and using cultural heritage as a positive and cohesive force for the society, economy and environment of Cyprus. This will allow the various communities to overcome decades of division by developing lasting partnerships to build a more peaceful and prosperous future in Cyprus and in Europe as a whole. 5) Europa Nostra remains confident that under your leadership and with your full support, all parties involved will cooperate more closely and intensively so as to achieve progress on safeguarding and eventually restoring and revitalising the historic heart of Nicosia, which is currently suffering from isolation and abandonment. Together with our Cypriot members, Europa Nostra stays at your entire disposal for providing you with support, advice or assistance in this vital process. Any further delay would be detrimental for our shared common heritage and a deplorable dereliction of our shared responsibility. On 29 November, the Appeal was handed over to the Under Secretary to the Presidency, for the attention of H.E. Mr. Nicos Anastasiades, by Europa Nostra’s Vice-President Androulla Vassiliou and Council Member Agni Petridou. Europa Nostra also requested a meeting to hand over the Appeal to H.E. Mr. Mustafa Akinçi and we are awaiting for a reply from Mr. Akinçi’s office. On 15 November, the Appeal was unanimously endorsed by the Europa Nostra Council at its autumn meeting held on at the Calouste Gulbenkian Foundation in Lisbon.